Brought to life with music, sound effects and a Full Cast of performers here is the dramatised version of one of the best-known Classics in children’s literature. In this classic tale of good and evil, Snow White is pursued by a revengeful Queen who is jealous of her natural beauty and goodness. When the Queen learns of Snow White’s hiding place with the Dwarfs in the woods, she prepares a plan to poison her with an apple. Join Snow White as she journeys into the world of the Evil Queen, Udo the Huntsman, the Magic Mirror, the Prince, Deidre the Dove, Albrecht the Owl, and the Deep Dark Woods. 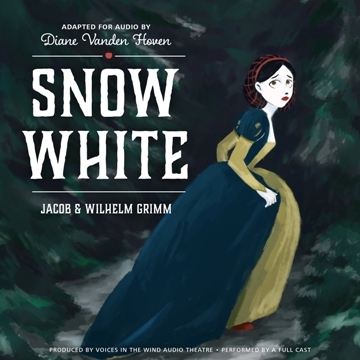 Directed by Laura Van Veen and featuring Georgia Lee Schultz as Snow White and Mary Ellen Herder as the Evil Queen, this dramatised version features a full cast of characters, music, and sound effects.